Prosthesis installed right after the implant is applied, intuitive, safe and reliable, ready to use. The intraoral welding is a secondary stabilization method that improves the success rate of prosthetic interventions to allow immediate loading or stabilisation of the implants where the bone support is lacking, by using a low cost, easily applicable protocol. This procedure reduces inconveniences for the patient: the dental crown and prothesis can be inserted right after the implants application, without compromising the osteointegration. The dentist evaluates the most suitable approach, depending on the support characteristics and intervention type. 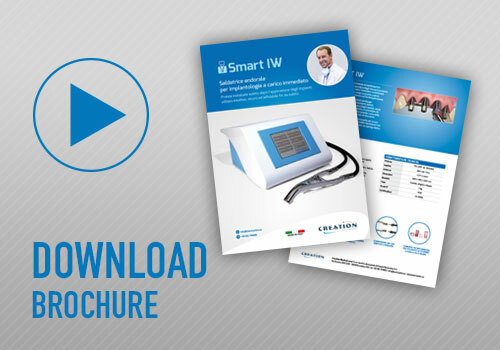 The intraoral welder Smart IW has been designed for an intuitive use and requires little training thanks to a friendly set-up wizard. • Safety functions: automatic detection of open or disconnected pliers, welding sequence control, galvanic isolation from the mains. • Multi-language user menu. Pre-set languages: Italian, English, Spanish and other as an option. • Visual and audible indicator of the welding phases and of the operations required help minimizing heating of the tissues. • Reduced waiting time between consecutive welding. 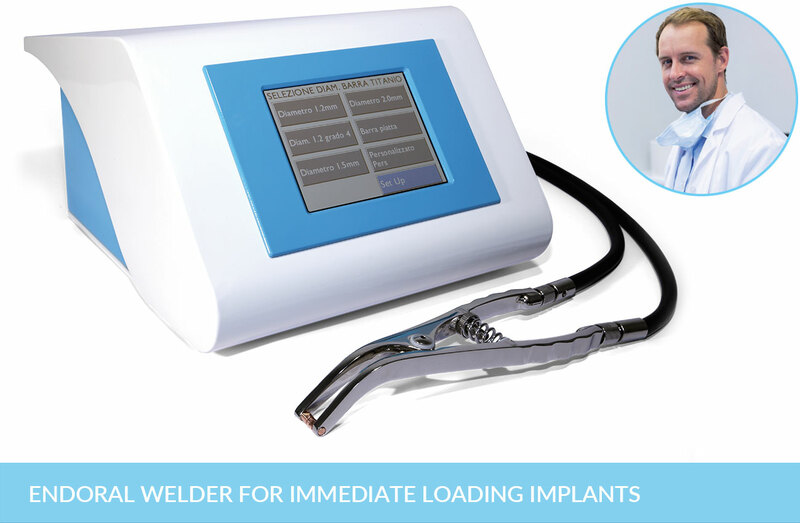 • The intraoral welder Smart IW allows welding monoimplant and biphasic dental implant, hollow and solid abutments, round and at wires. • Wide power adjustment range and customized settings.